A new parade, fireworks, and World of Color show will debut in Disneyland on May 22nd in honor of the Disneyland 60th Anniversary. See bottom of article for updated info and videos of all three shows. Disneyland announced the happenings for the 60th Anniversary in front of a packed house of guests and media. Our Disneyland correspondent was at the event to provide full updates. 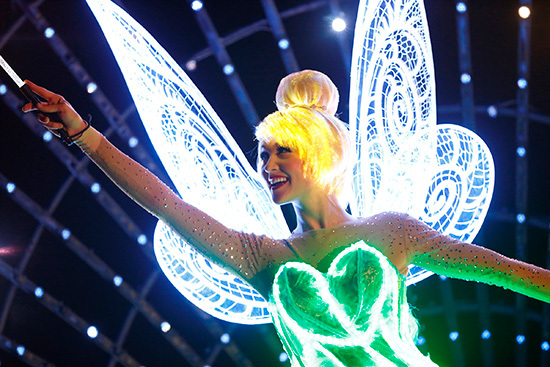 The event has officially announced the long-rumored Paint the Night parade for Disneyland. 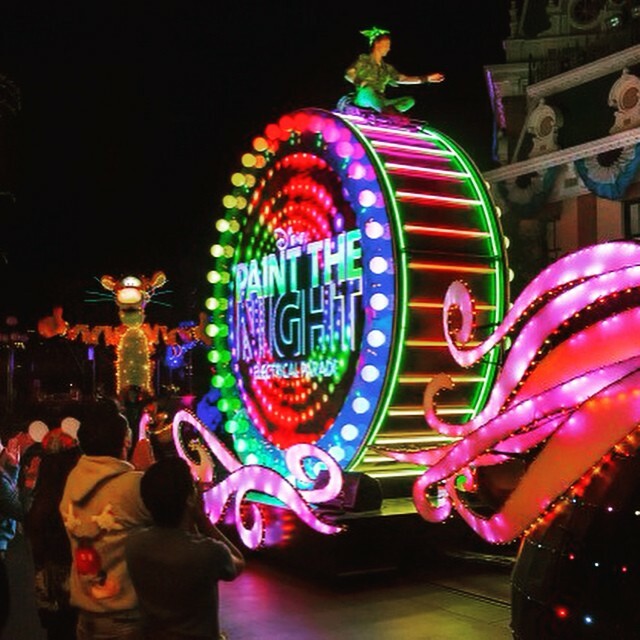 Currently a version of the Disney Paint the Night parade is running in Hong Kong Disneyland. The parade will be a variation of the Hong Kong version and will combine new LED technology with classic Disney music to create a new type of Main Street Electrical Parade. The parade will have 76 performers. 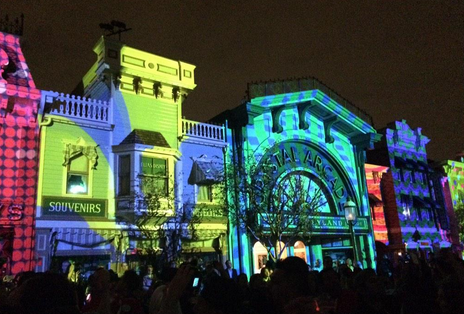 At the end of the media event, the projection mapping for Main Street was presented. These projections will be used in the new fireworks show. The video looks incredible. This new show will move the action off the castle and out across all parts of the park. Listen for the new song that will be featured in the fireworks. 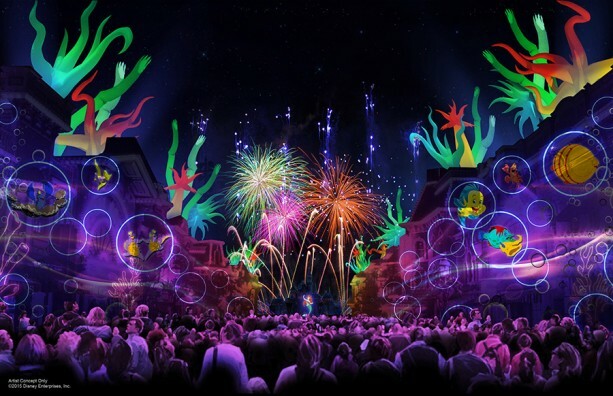 Finally, a new version of the popular World of Color will debut in Disney California Adventure. The new show will be called “World of Color – Celebrate! The Wonderful World of Walt Disney” and will feature the history of Walt Disney and Disneyland. Mickey Mouse will be our host for our adventure through Walt Disney’s Imagination. The show will bring to life the history of the park with lasers, fountains, historic footage, and a stirring musical score. Update May 21st: All three shows have debuted. Disney CEO Bob Iger spoke before the premiere of the three shows. Listen to his speech in the video below. 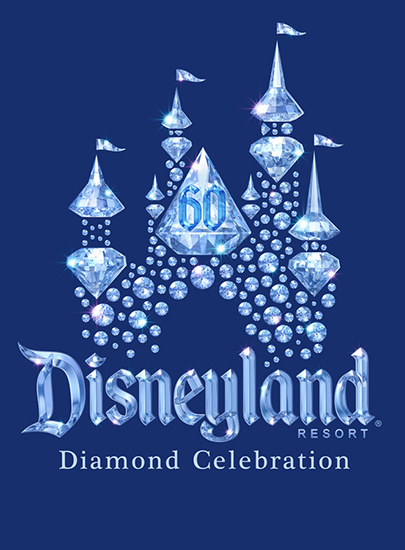 For more information on the Disneyland 60th Anniversary like us on Facebook and subscribe to the Disney Dose newsletter. Meagan these offerings will most definitely still be in Disneyland in September. They could be in the parks for the next couple of years. Thanks so much for replying, I’m so excited to see the new shows! Previous Post: 14 Disneyland Star Wars Half Marathon Costumes. Can’t Believe They Wore #9 Running.